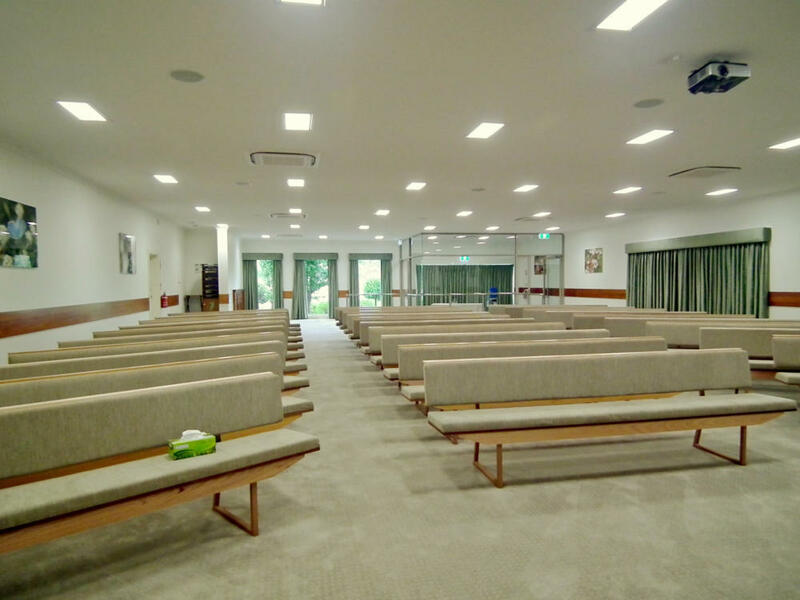 Our modern and spacious funeral chapel is located on the Princes Highway at 613 Main Street Bairnsdale. We have a large off-street parking area behind the chapel with an an exit leading out into Mill Street. 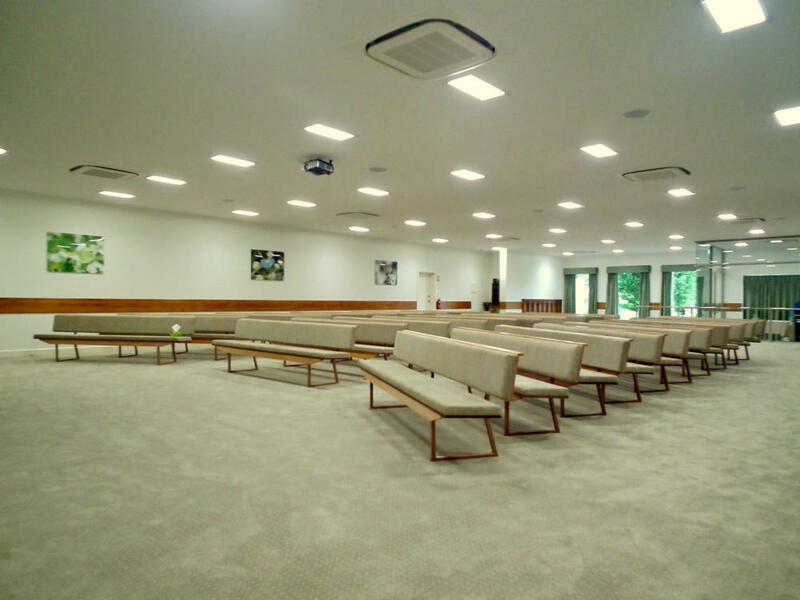 Since moving into our Main Street premises in 2008, we have worked at renovating and upgrading our facilities. 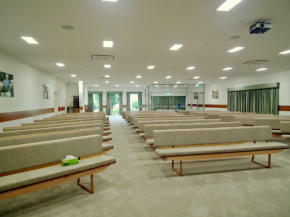 The final phase, doubling the floor area of the chapel and offices was completed in February 2014. 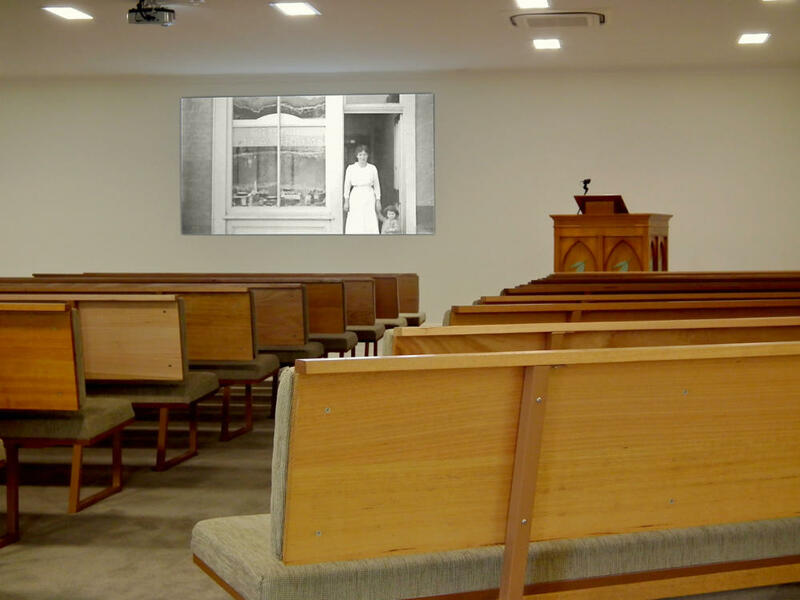 We have improved access to the building and expanded the seating capacity in the chapel to over 200 people and we can accomodate several hundred more standing at the back and sides of the chapel. 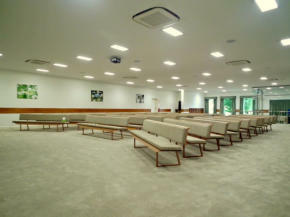 The chapel boasts a state of the art audio system giving crystal clear sound reproduction throughout the chapel and entrance areas. 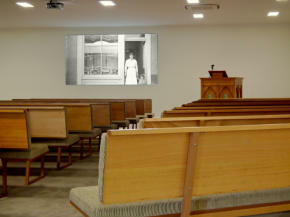 The chapel’s wide screen video projector displays an exceptional three metre by one and a half metre image. The system supports a wide range of video formats, DVD, and high definition Bluray Disc. Most of us will be familiar with the old adage: “A picture is worth a thousand words.” For families choosing to add a visual dimension to sharing a life story, we can display their precious memories in a fitting and memorable way. Click on the photos for larger images.